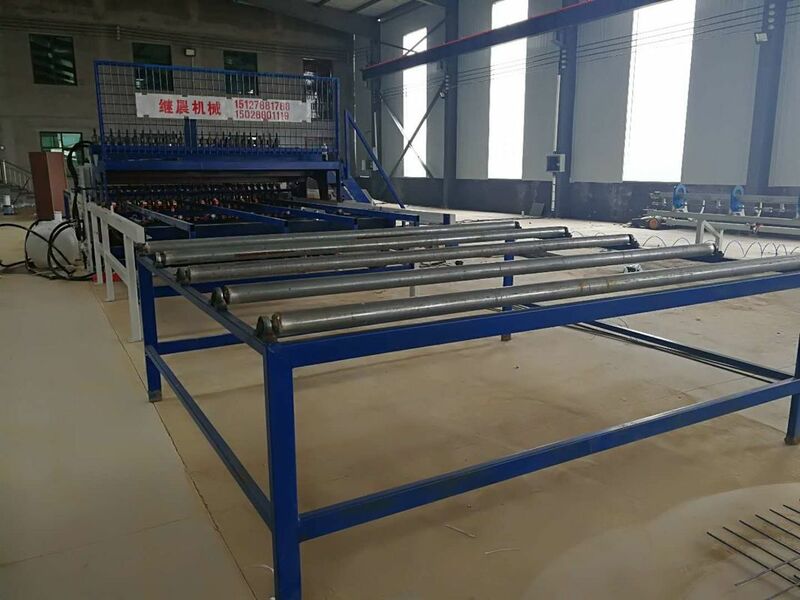 1.steel bar welded wire mesh machine will be packed with plastic film. 2.The accessories will be packed with wooden box. 3.All the machines suitable 40 feet container to be loading. 1. The machine is used for wire diameter 5-12mm, it is an automatic equipment that desiged and manufactured by ourselves. 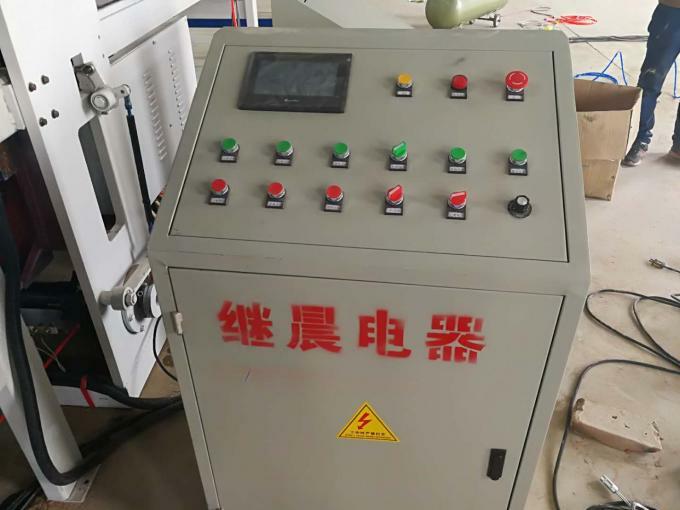 Both the line wire and cross wire are feed from pre-cut wire, the controlling system adopts PLC control; the machine adopts servo motor to pull the mesh panel repeat. 2. The machine uses PLC touch screen control technique, we use Japan, Sony digital control system which can be input to touch screen control panel to adjust the mesh size, so it can weld different mesh size on the same mesh panel .to make sure the welding firm during a long working time, and prolong the service life. 3. 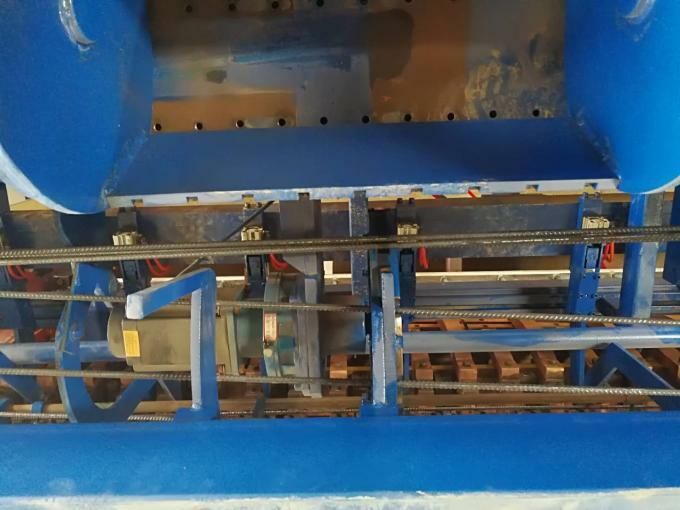 Feeding and Welding System Cross wire feeding: Firstly, the coil wires are straighten and cut into fixed length by straightening cutting machine, which become weft wire. Then worker put the weft wires into wire hopper. Wire hopper under the control of air pump, the cross wires falling automatically one by one. 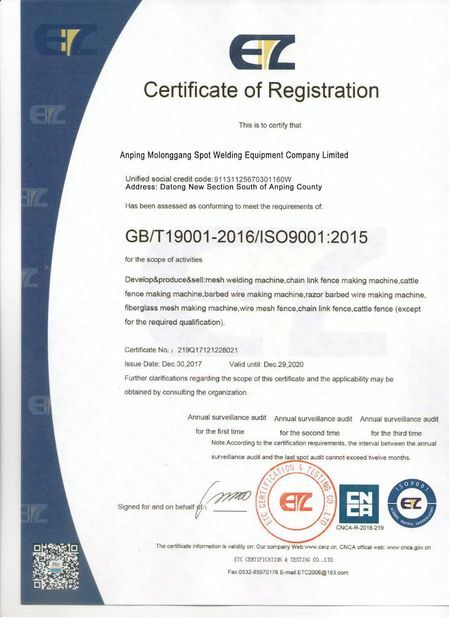 Line wire feeding: warp wires are the same to weft wires, firstly use straightening cutting machine to straighten and cut coil wire into fixed length. 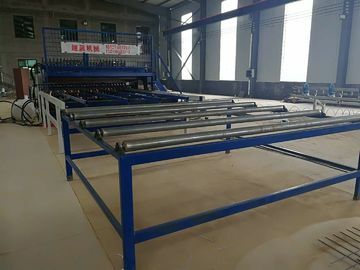 Then the line wires are sent by labor and fed automatically, when it welding and drawing, labors can prepare the wires, it increases production efficiency. 4. The machine adopts synchronous and PLC control technique. The welding power comes from the spring. 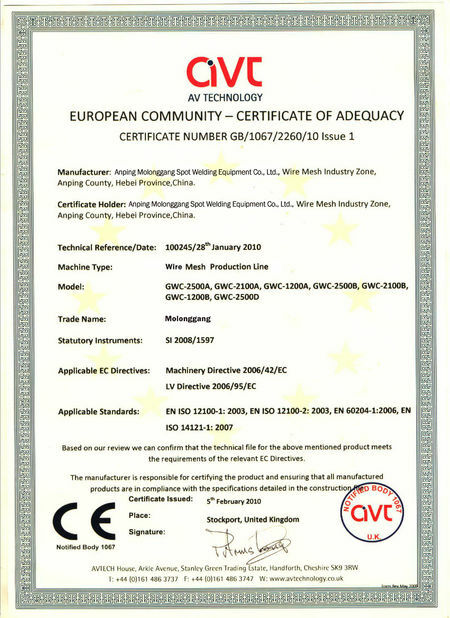 At the same time, the welding electrodes are equipped with water cooling system to make sure the welding during a long working time, and prolong the life . Application: It can be used for producing high-level construction and bridge mesh, high-way reinforce mesh, construction reinforce mesh, floor pouring mesh, airport reinforce mesh and so on. Suitable materials: Galvanized wire, stainless steel wire, iron wire and so on.